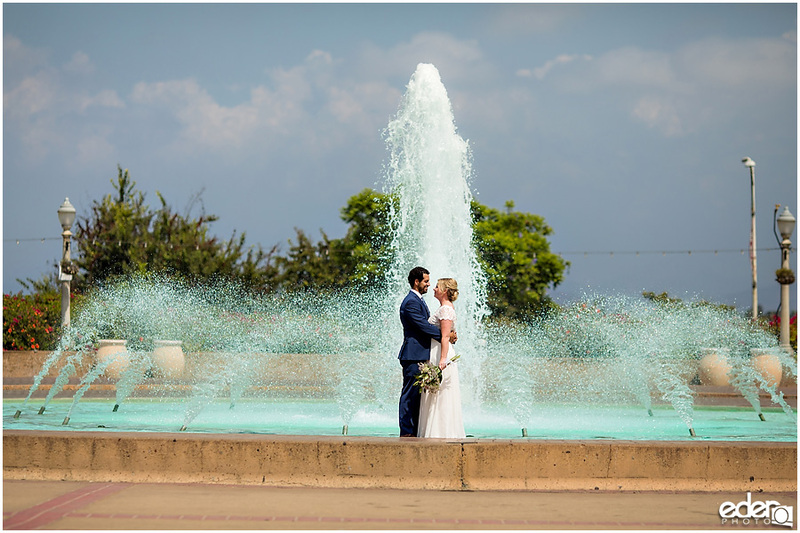 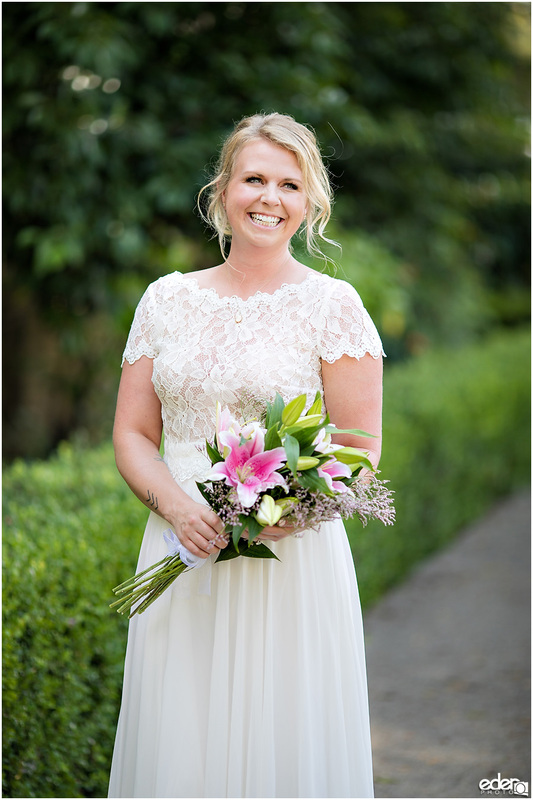 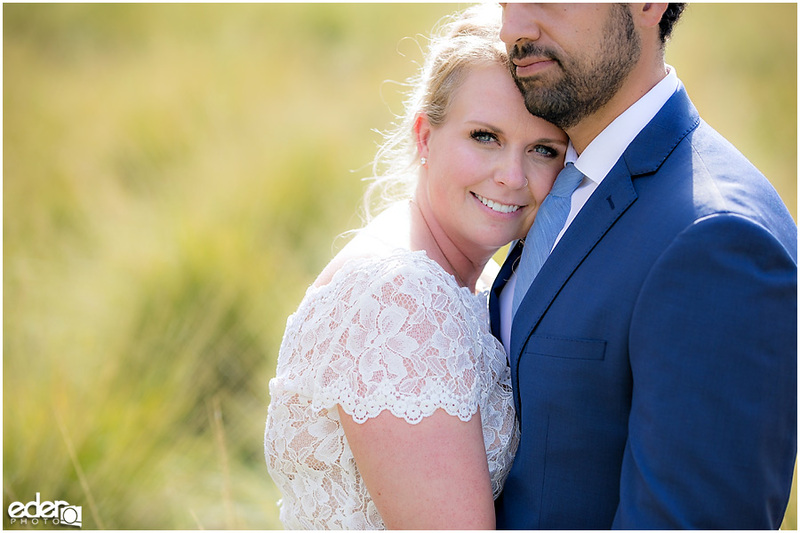 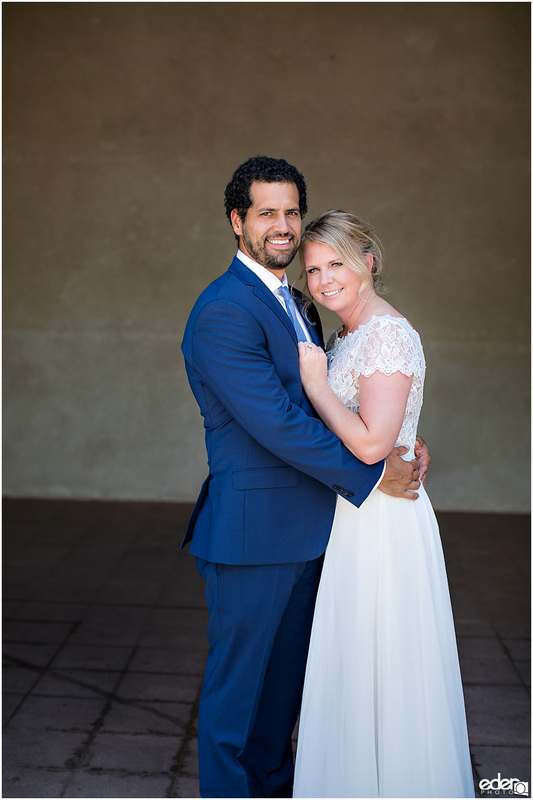 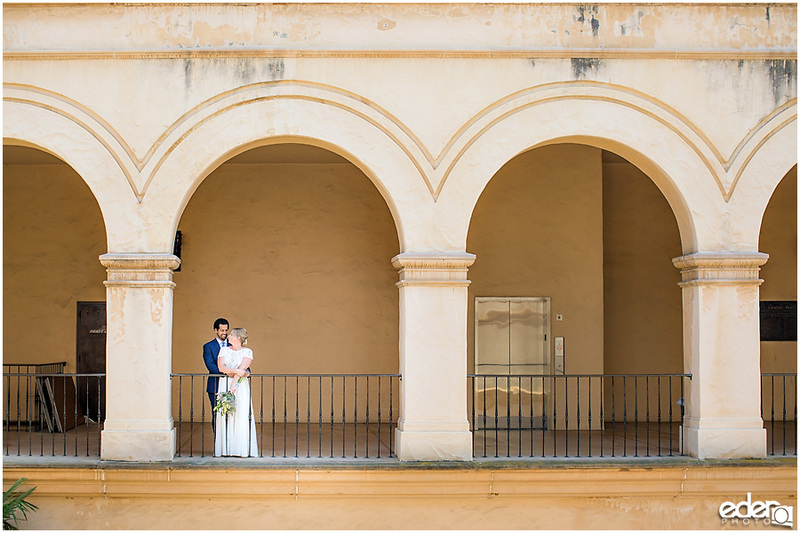 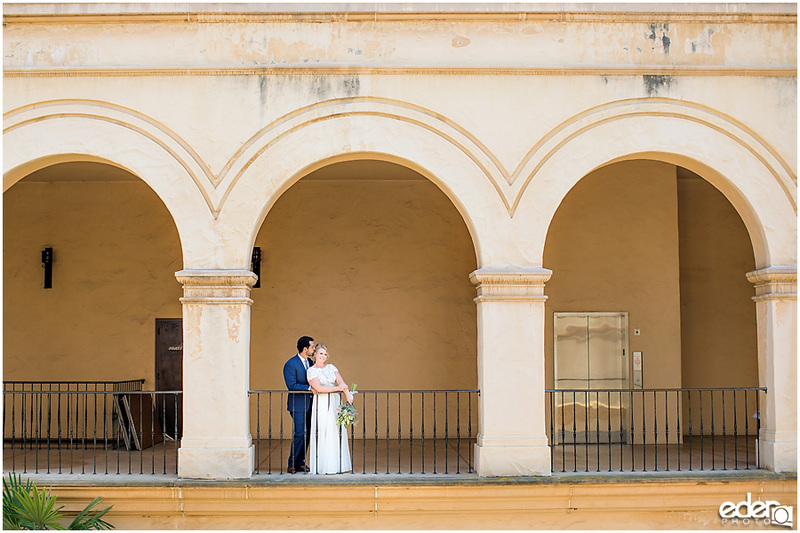 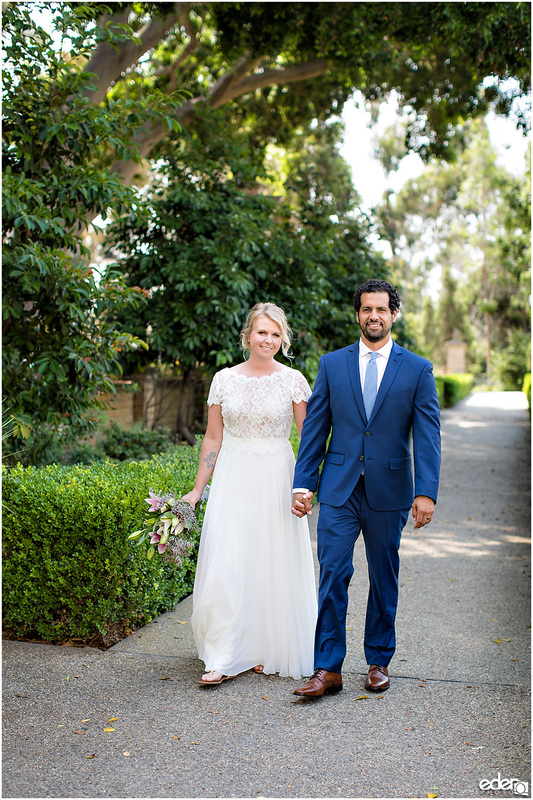 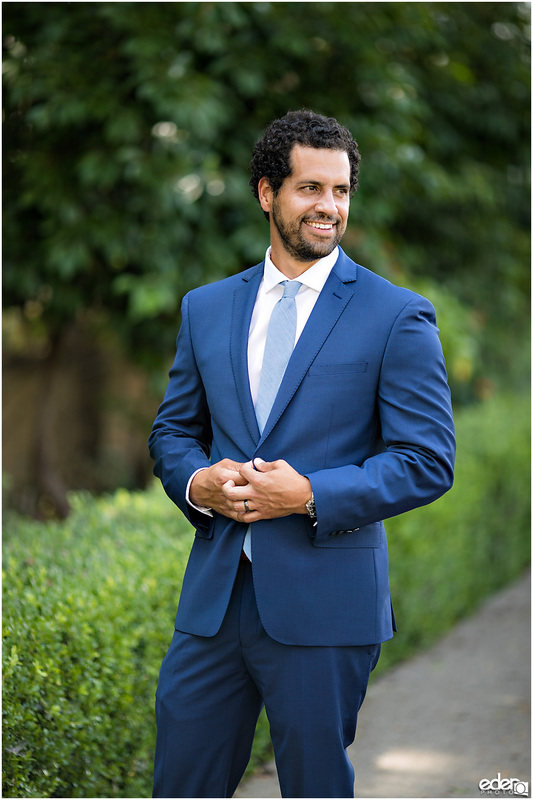 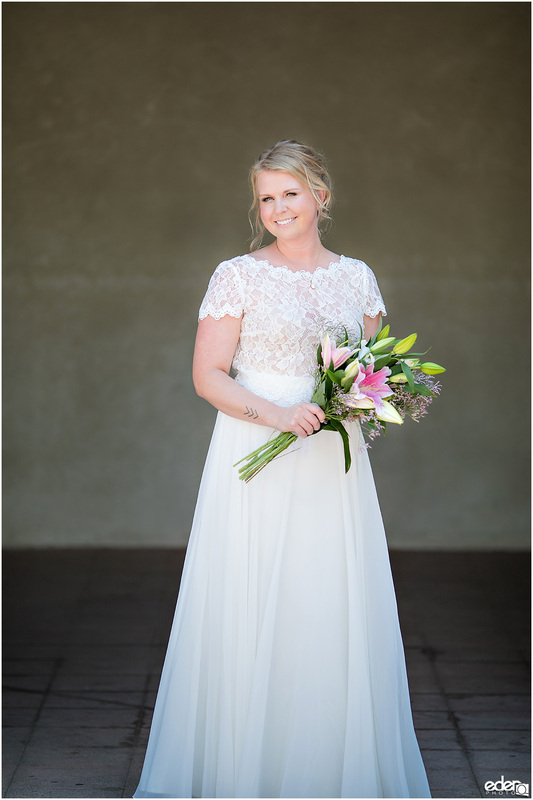 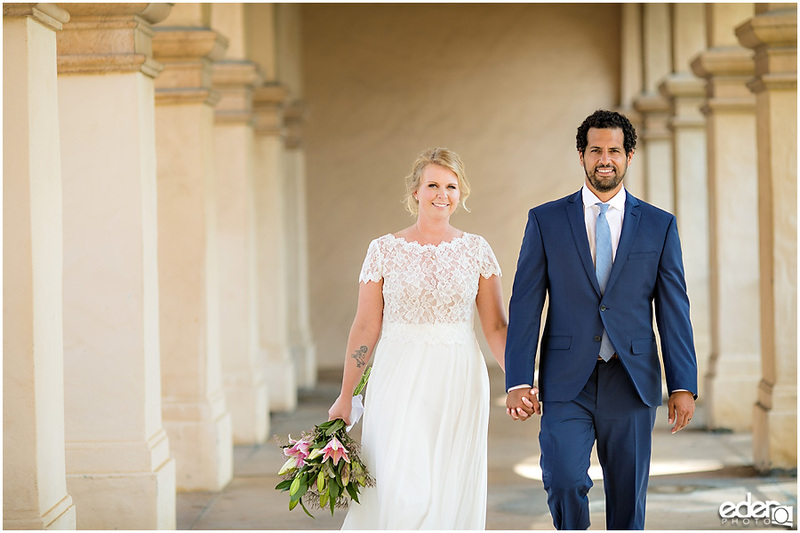 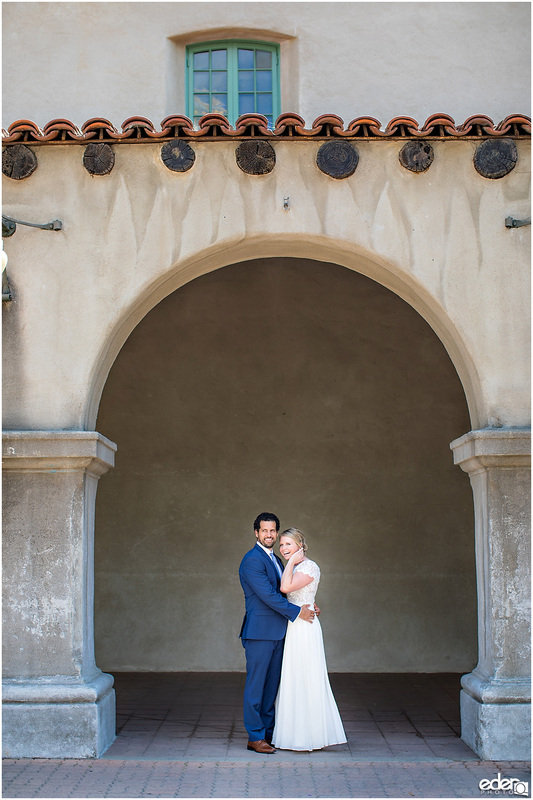 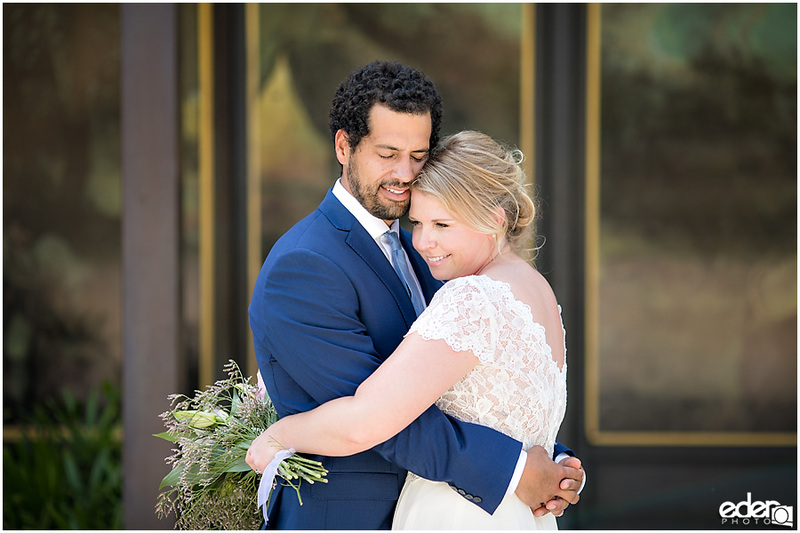 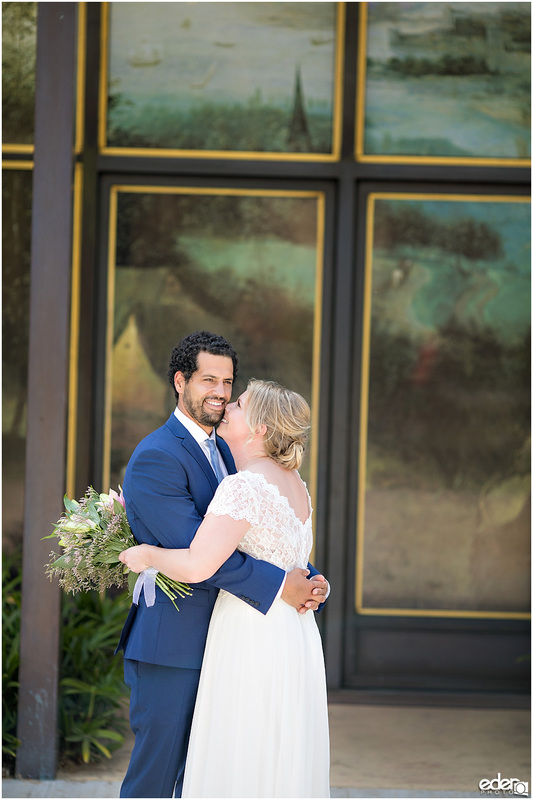 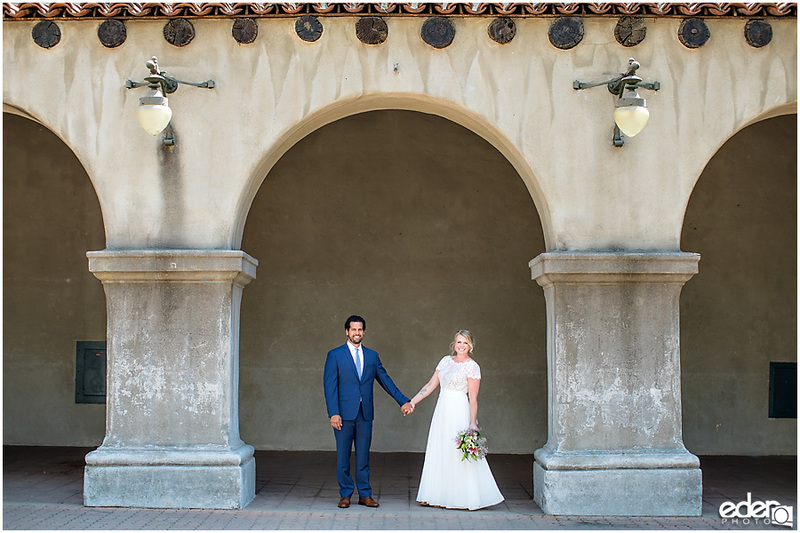 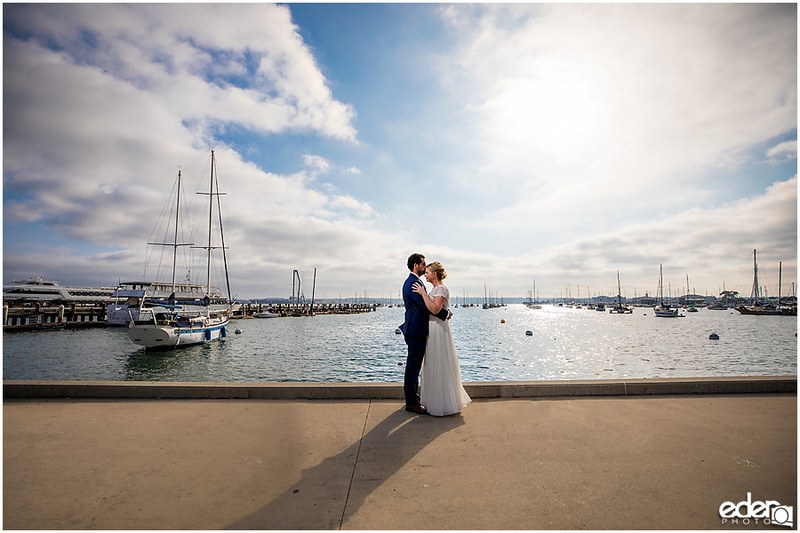 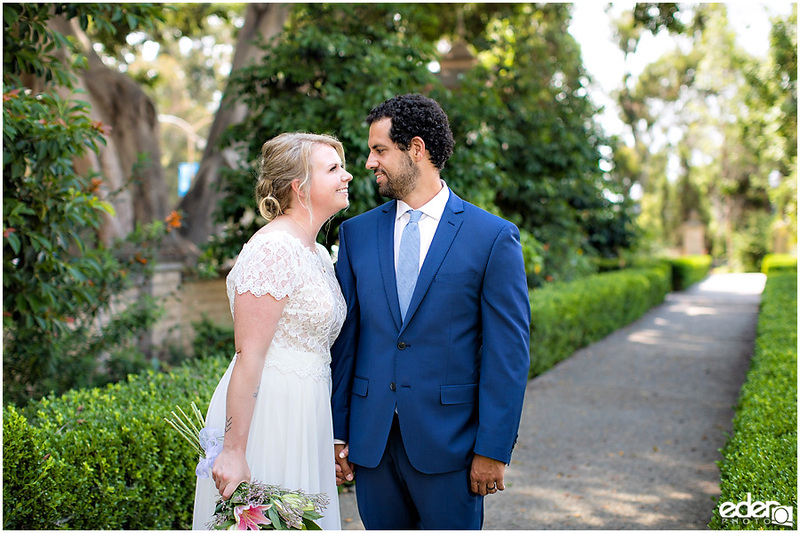 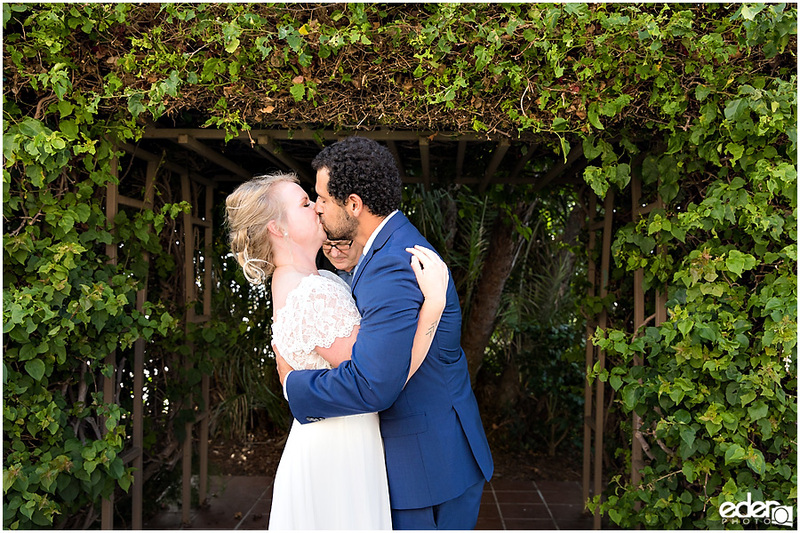 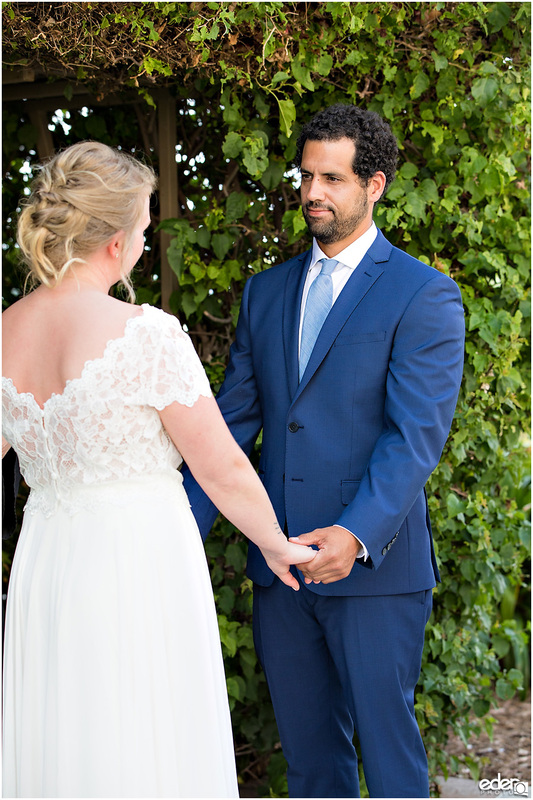 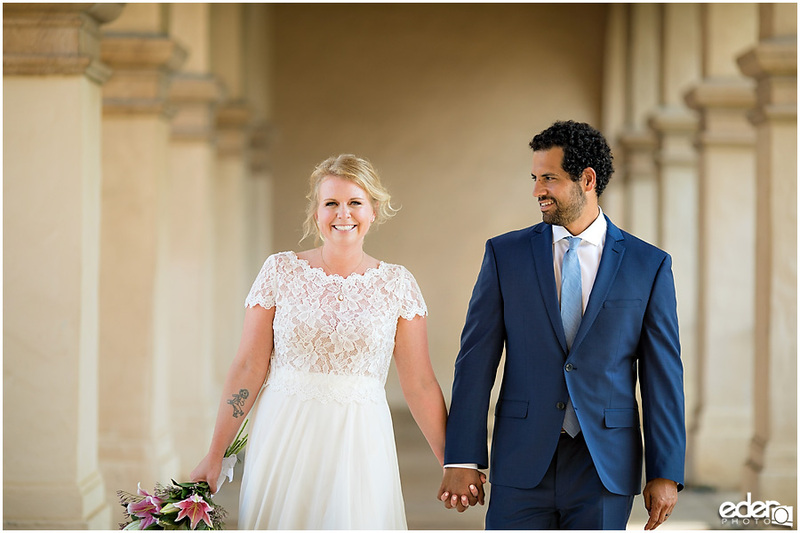 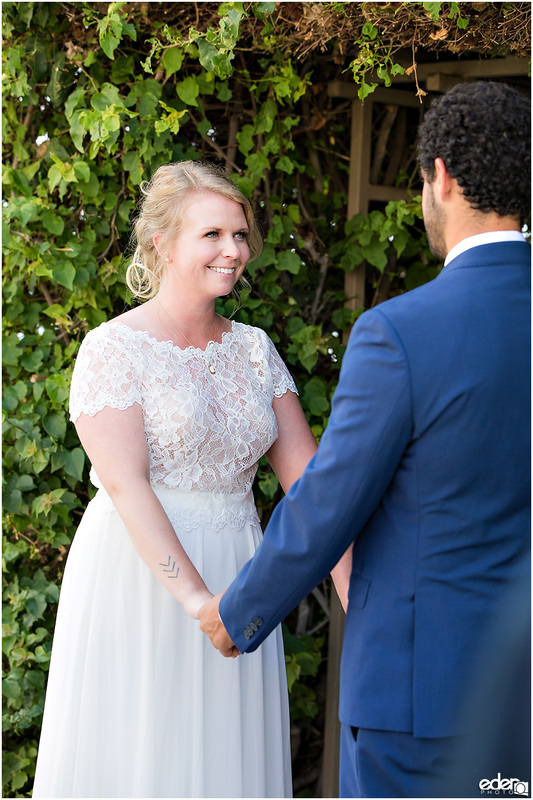 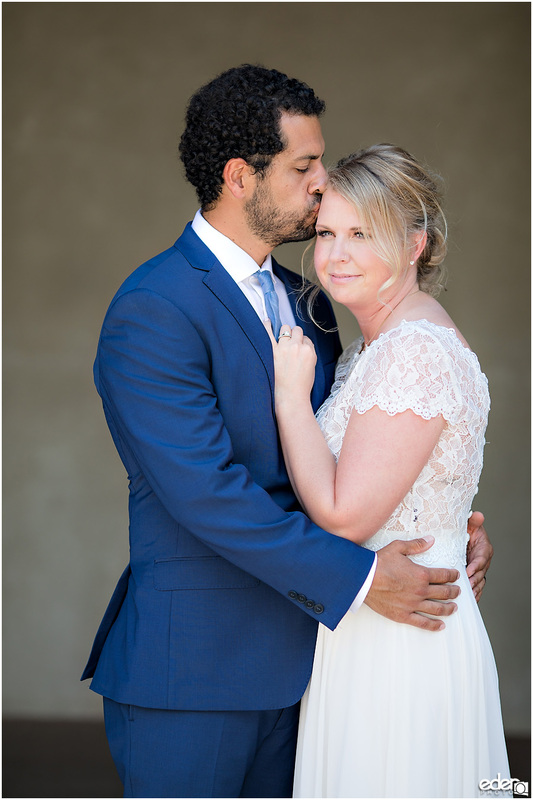 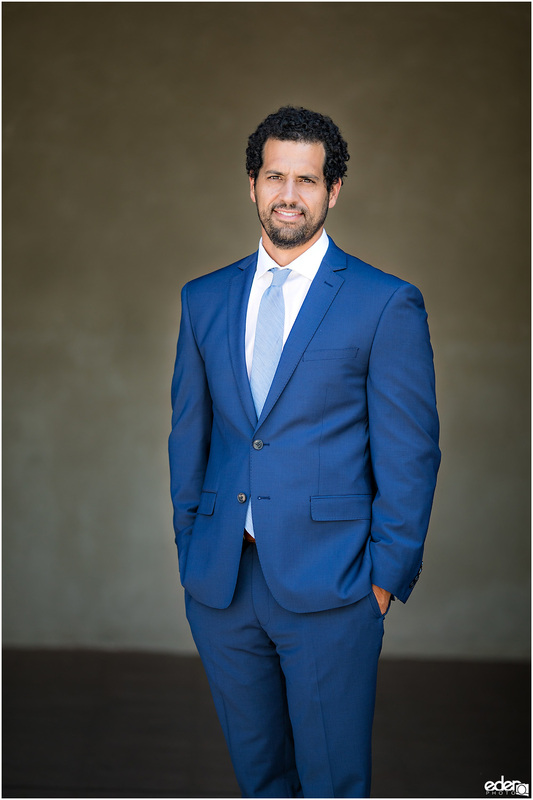 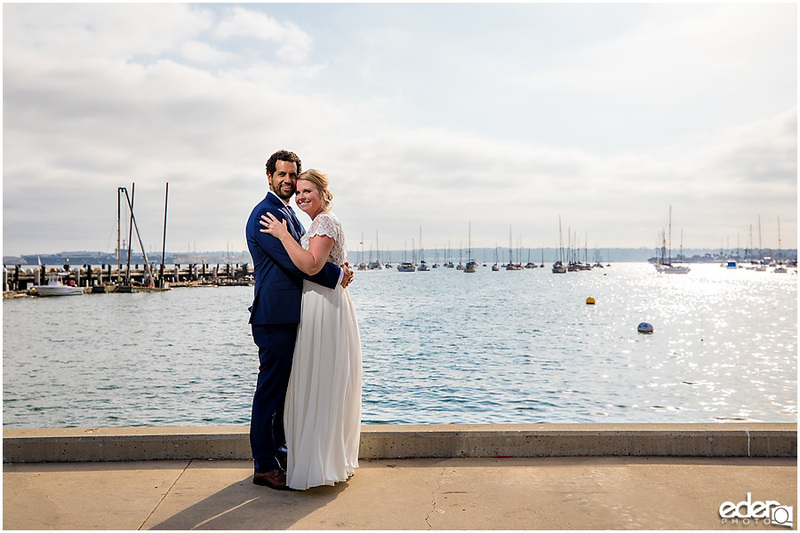 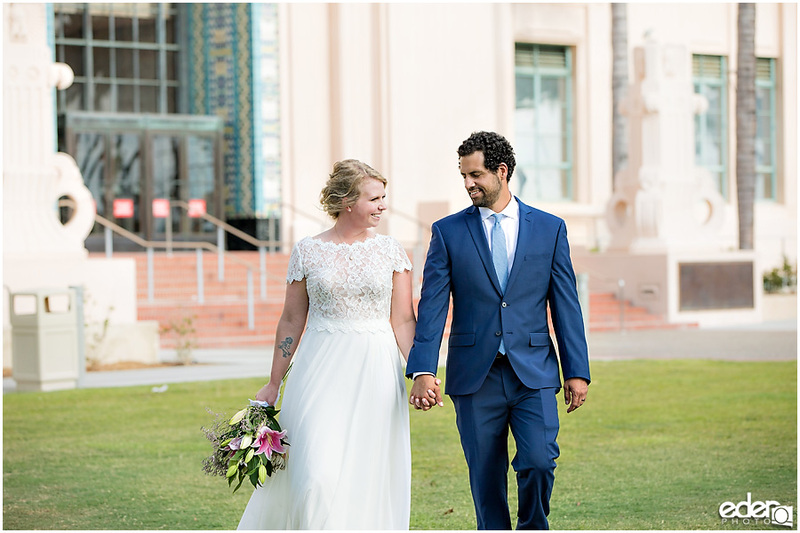 For San Diego Elopement Photography at the San Diego County Administration Building, I like to recommend the park because it has a wide variety of backdrops within walking distance. 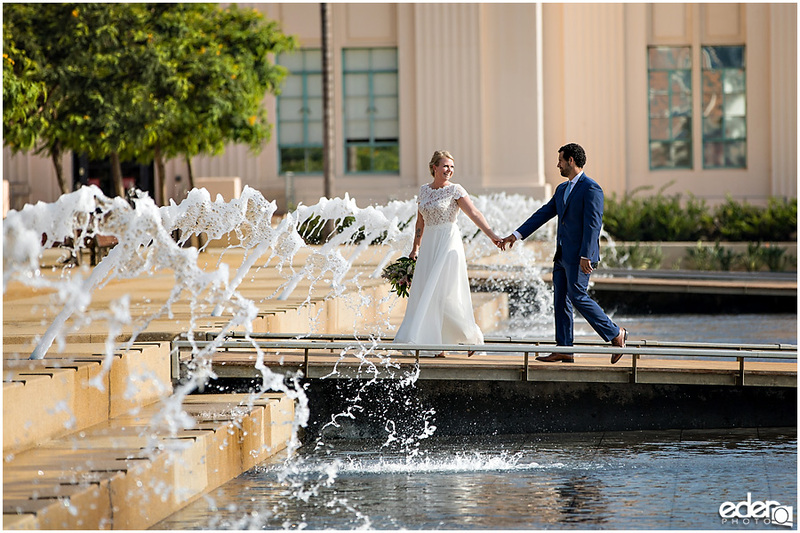 Since these elopements happen during the week, the park is not too busy and we have some great scenic choices. 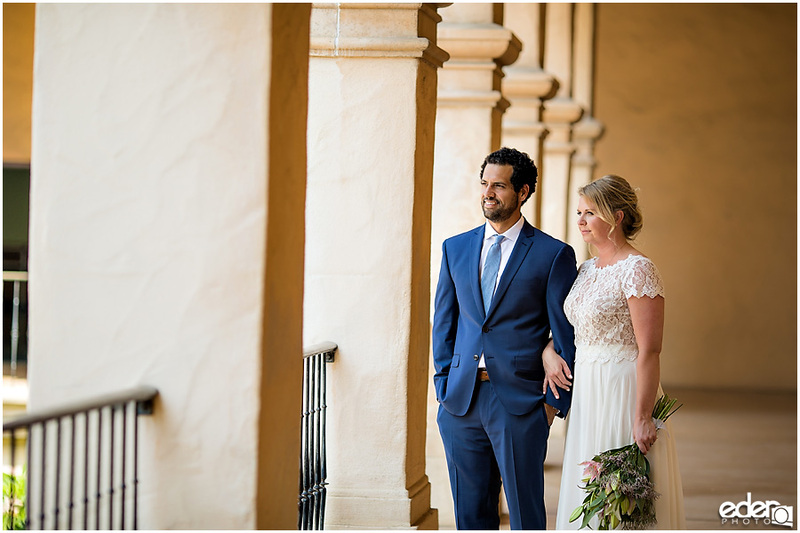 It also helps that Balboa Park and the County Building are a 5-minute drive from one another and with a rideshare app we can avoid trying to find parking. 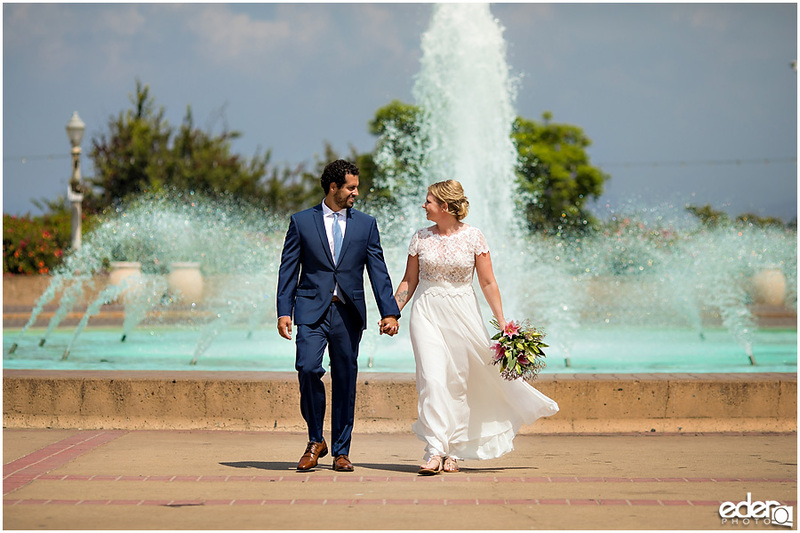 For this session, we started at my two favorite locations in the park. 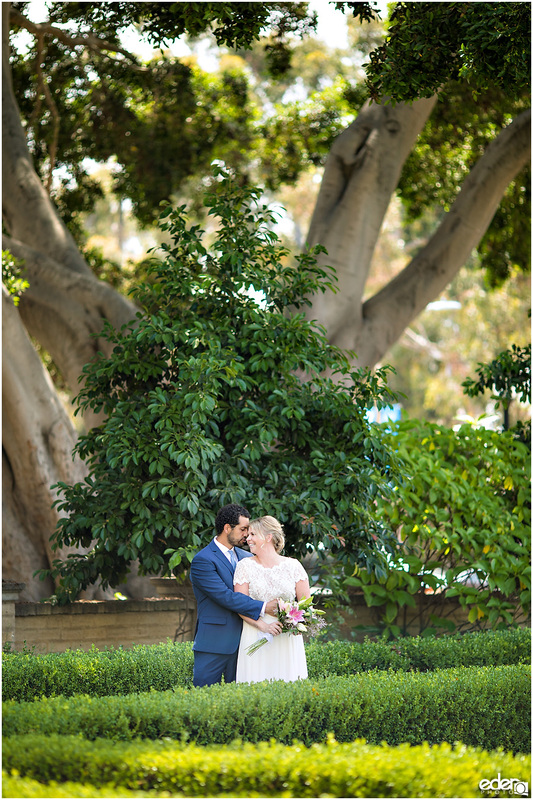 The Alcazar Garden provides a beautiful green backdrop without the hassle of walking through any dirt. 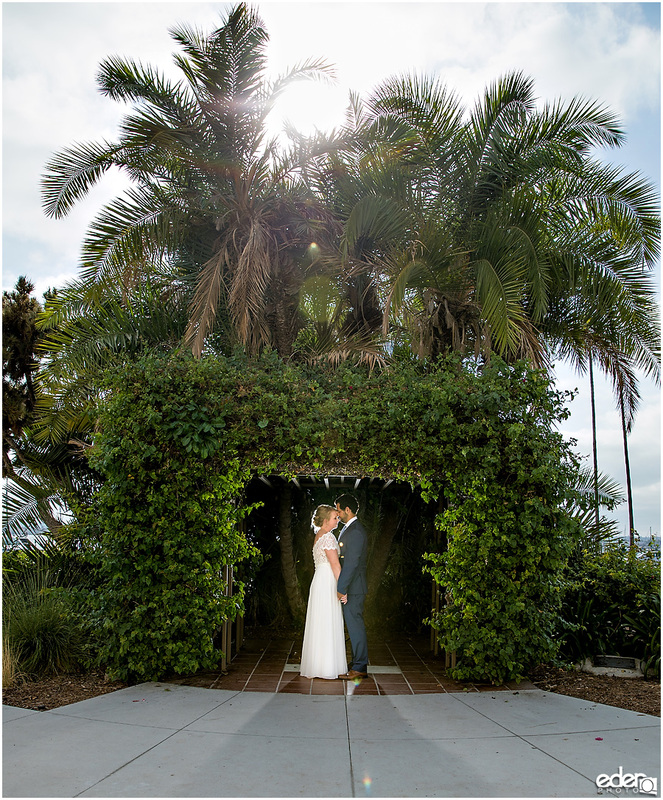 We get the benefits of a nature backdrop without having to worry about getting the outfits dirty. 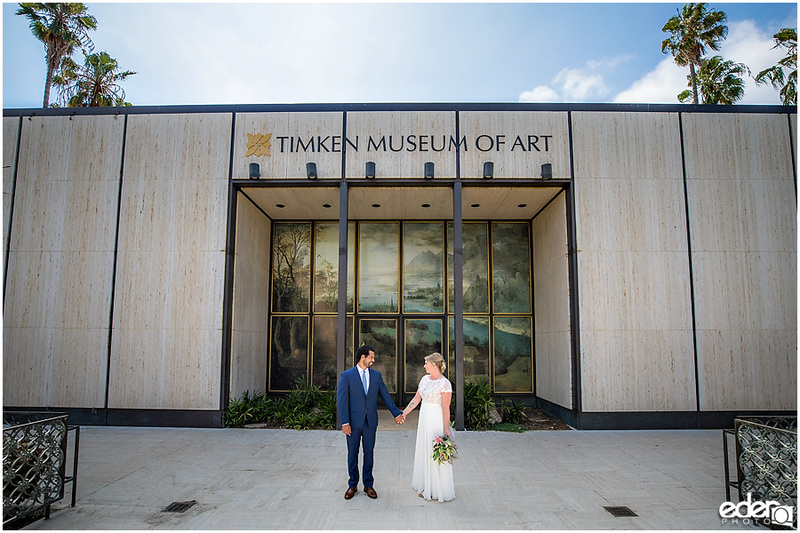 We then walked over to the Museum of Man to get more of a classic architectural feel. 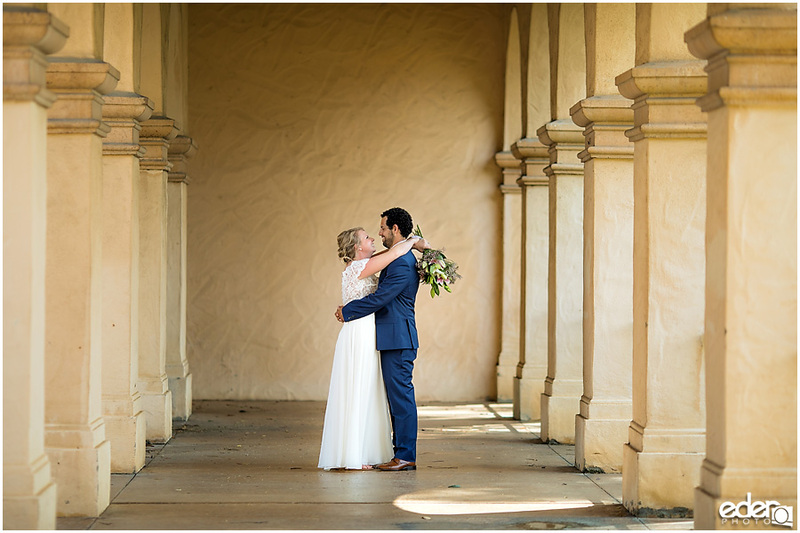 The columns norther facing columns provide a great texture as well as a soft light for portraits. 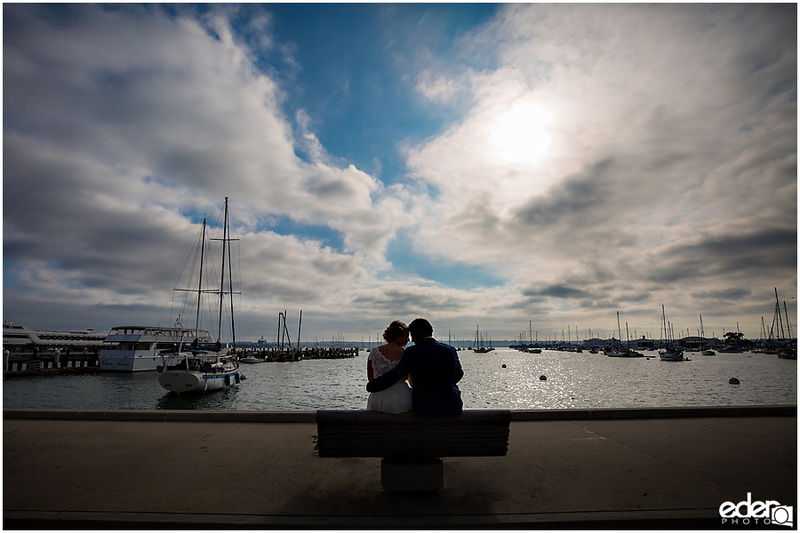 We could have stopped there, but since we had some extra time we walked around the park and used some of my other favorite locations. 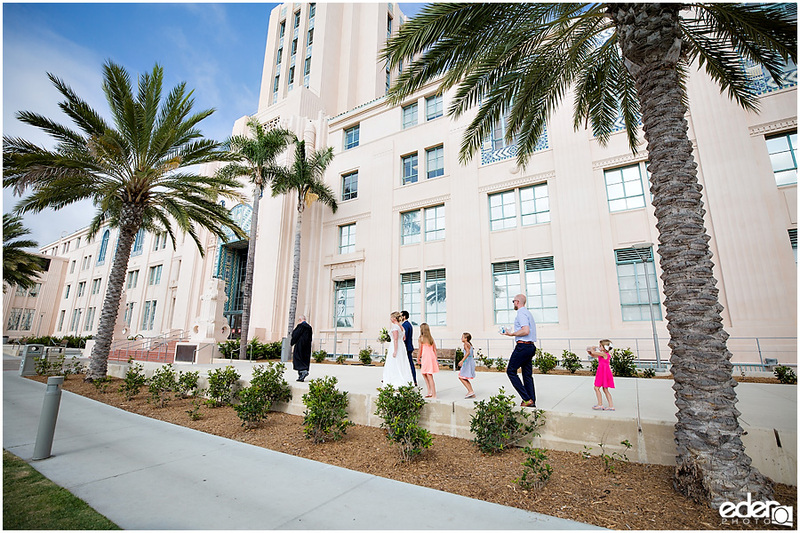 The process at the San Diego County Administration Building is pretty similar every time. 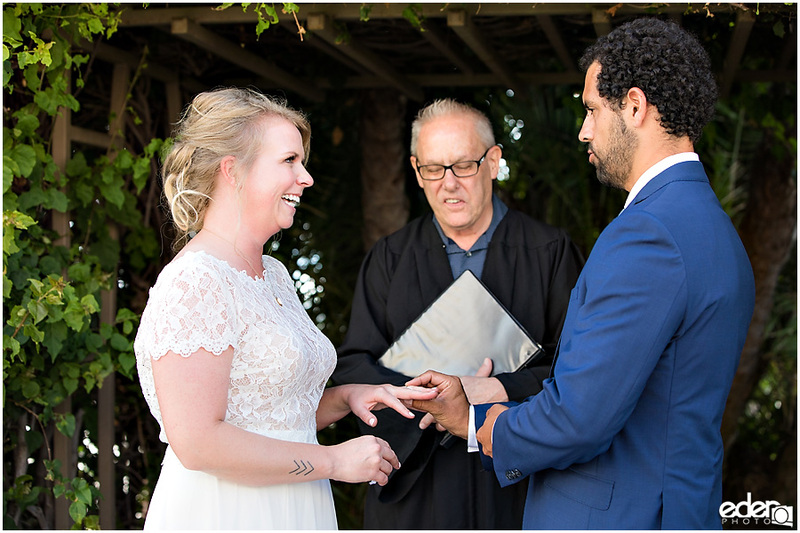 They ask couples to arrive 30 minutes before the scheduled ceremony time to finalize all of the paperwork. 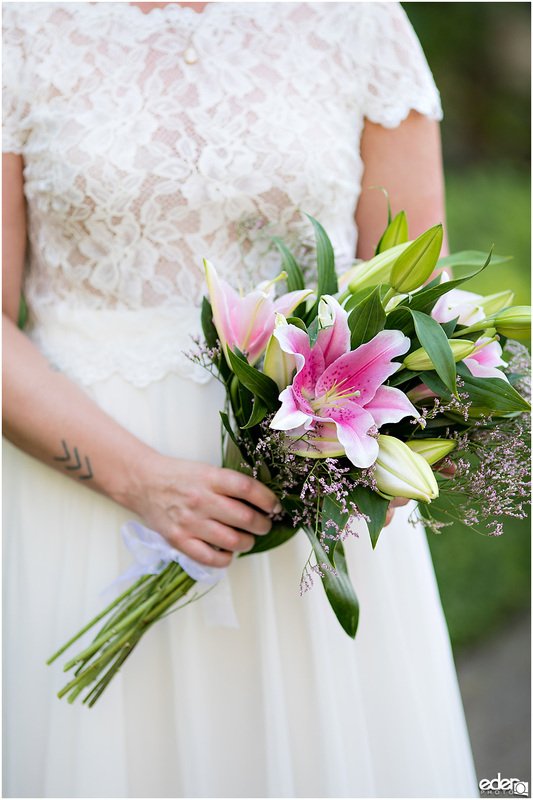 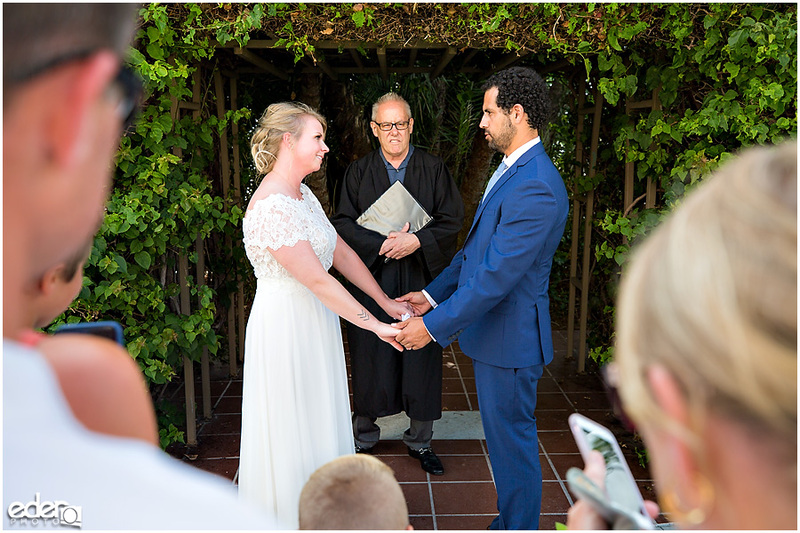 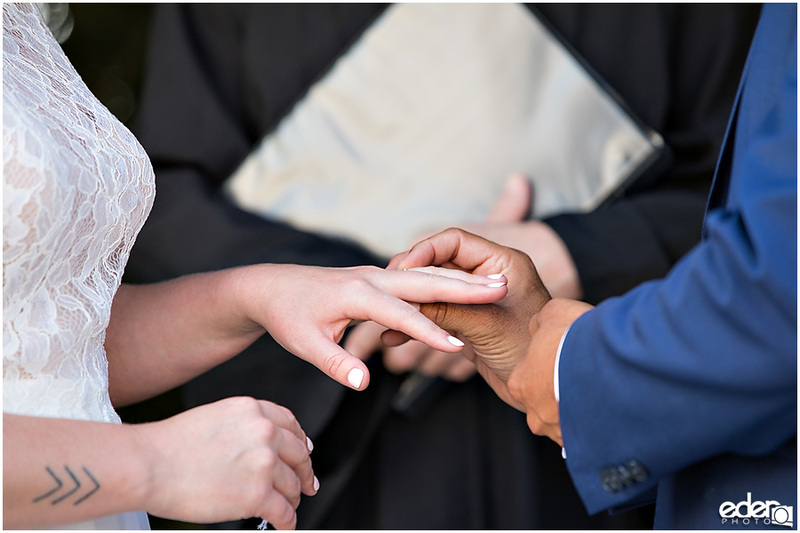 The officiant is usually right on time for the start of the ceremony and it’s a fairly quick ceremony lasting around 5 minutes. 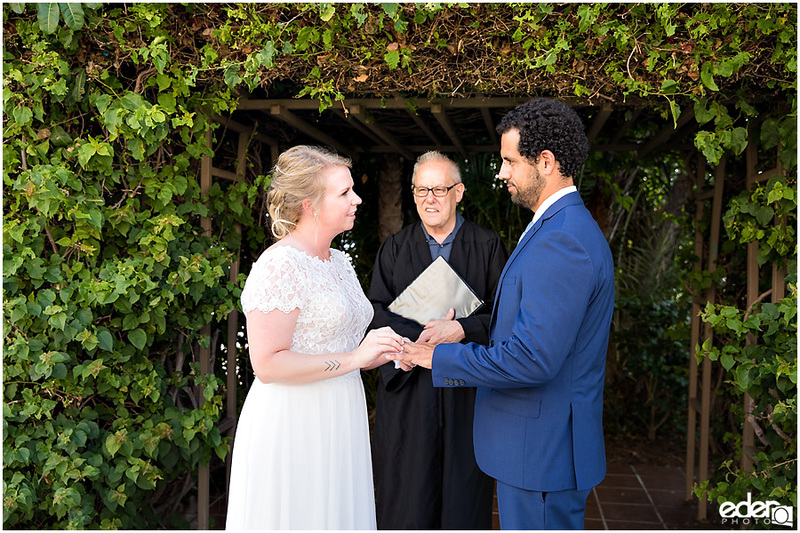 After the ceremony, we take a little time to get posed portraits with any guests in attendance to capture that part of the story. 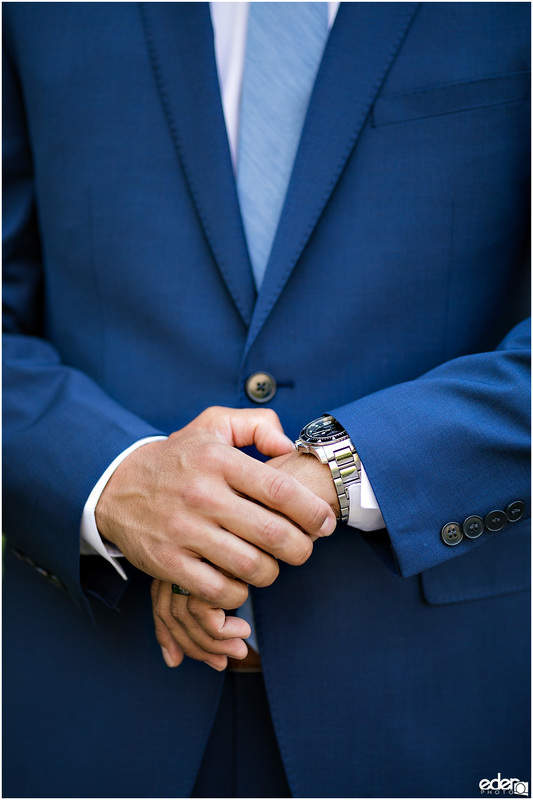 This part of the process usually takes 5-10 minutes depending on how many combinations there are. 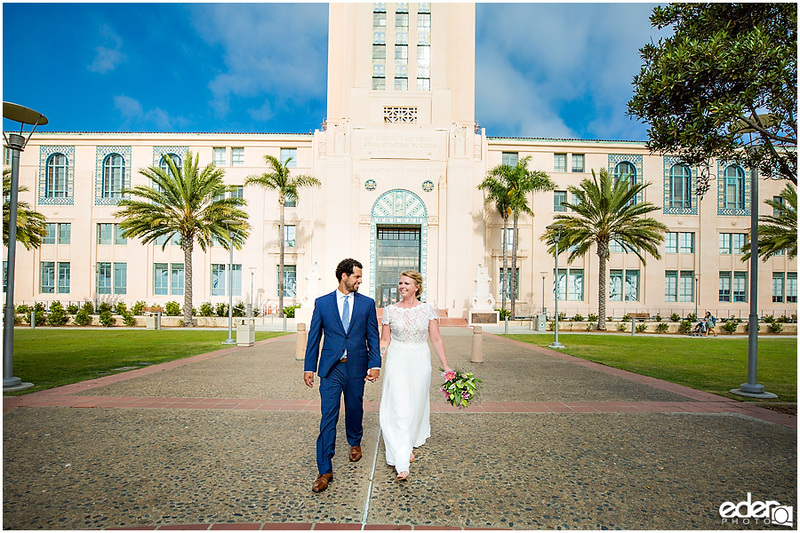 Just like Balboa Park, the County Administration Building has a classic architecture look. 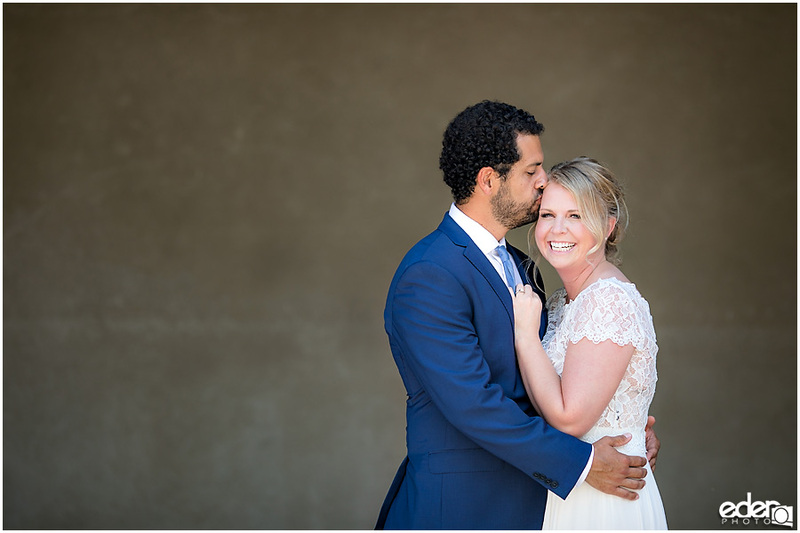 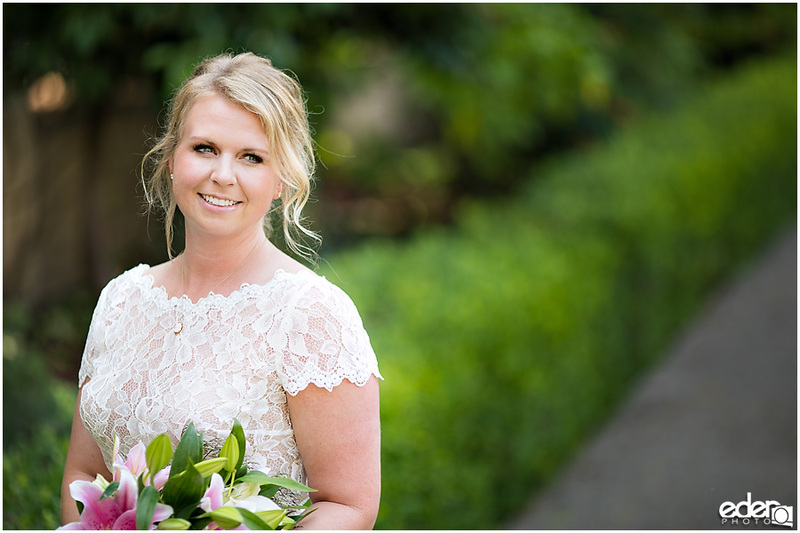 The neutral colored walls make it a great soft backdrop for portraits. 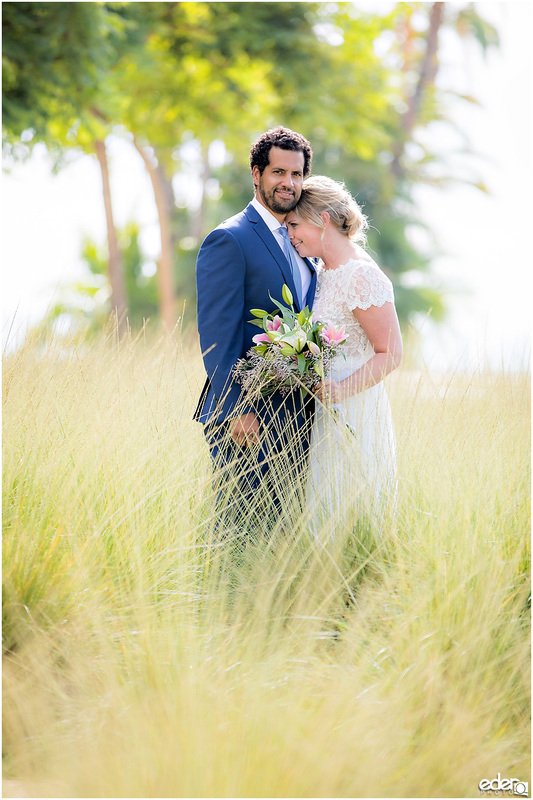 There is landscaping around the building that gives it a field look. 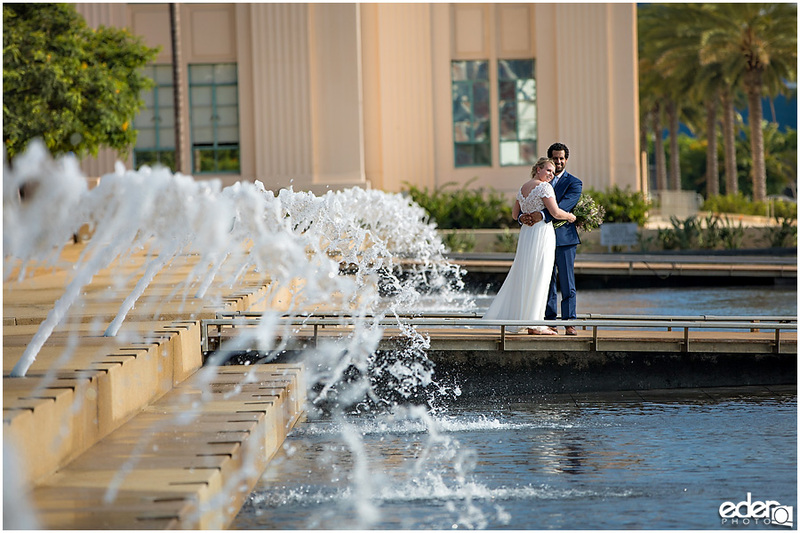 The fountains are also an eye-catching feature of the grounds that looks great in portraits. 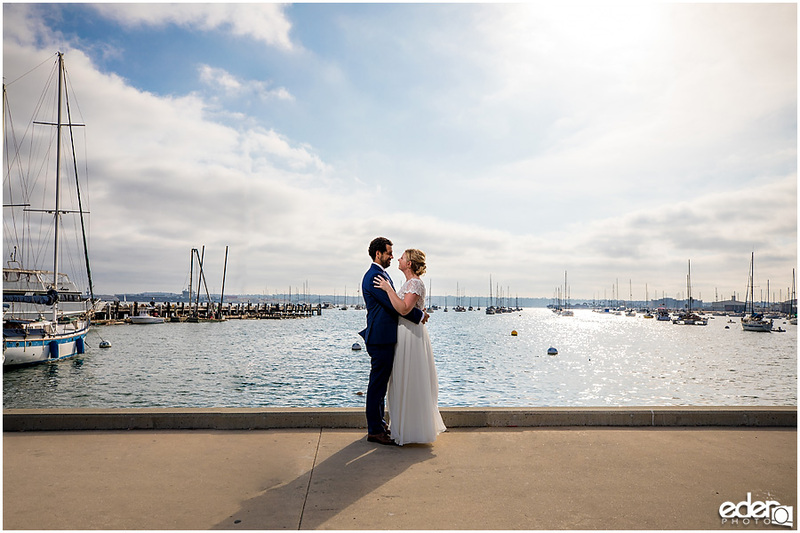 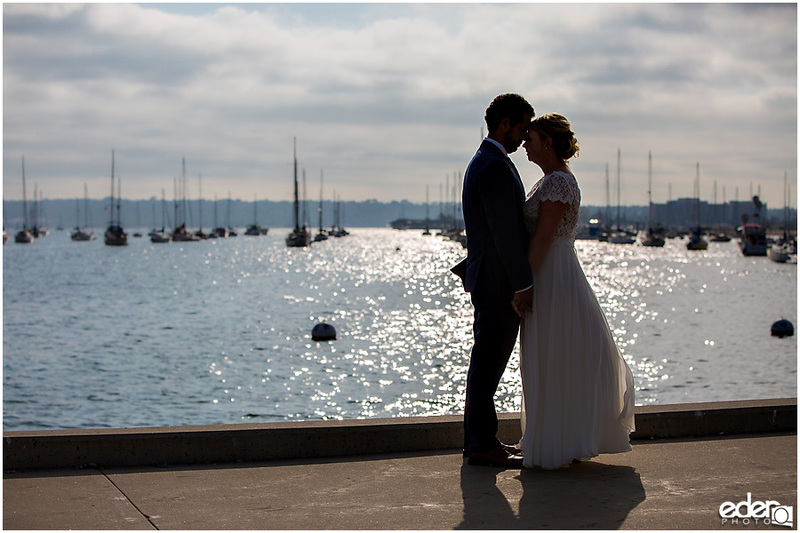 For this session, we had a bit more time and went across the street and finished their portraits in front of the San Diego Bay.